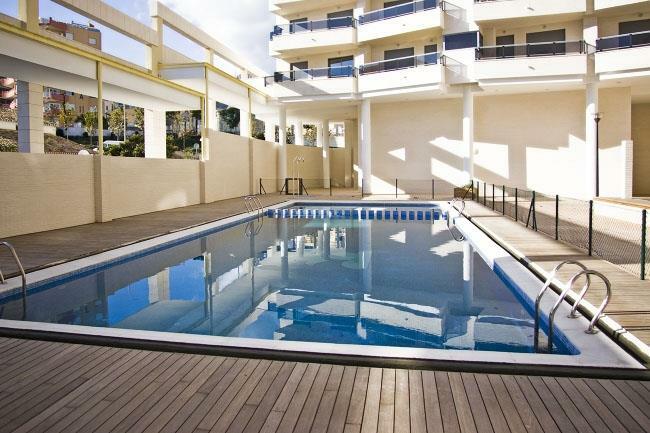 This beautiful holiday apartment with sea view is located in the residence Plaza Mayor on the 4th floor. The complex is located on 150 m from the sea. Limited wireless internet available. Also possible to rent baby cot and chair. Beach chairs and beach towels provided. We had a lovely stay at this apartment. It’s in an ideal location, just a short walk to both the beautiful old town and down to the beach - both around 5-7 mins. The apartment is clean and well looked after and Annie, the apartment manager was very helpful and friendly. Aircon was a dream and the beds are comfortable. Pool is also lovely. We would certainly stay again. Lovely apartment beautifully furnished. Would definitely stay again and recommend.